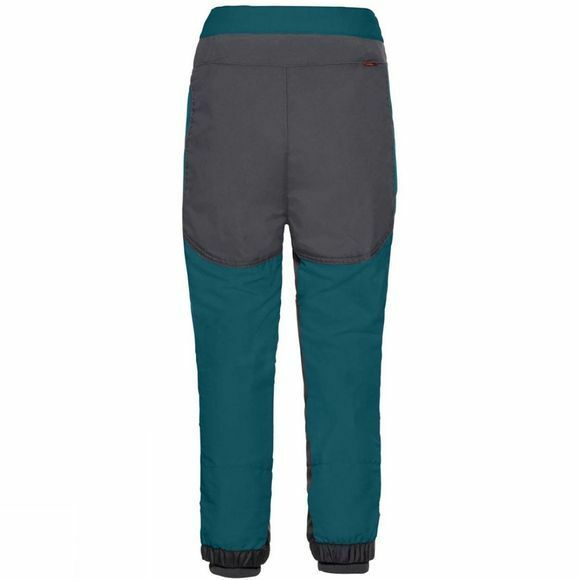 The Boys Caprea Pants III 14+ from Vaude provides reliable protection in field or forest! 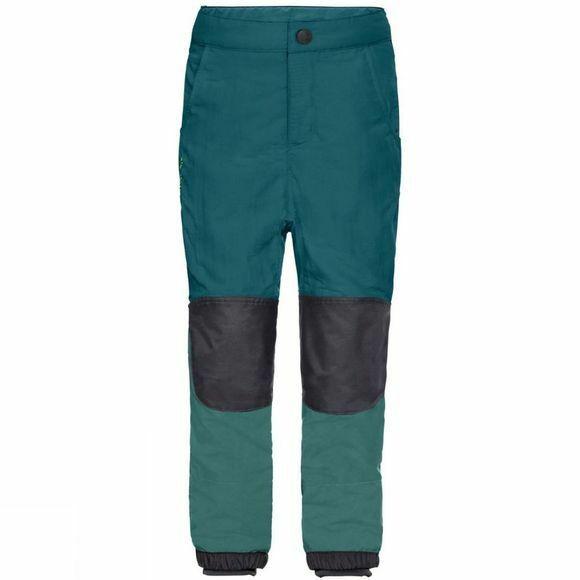 These durable, fast drying pants are made from eco-friendly materials. With an adjustable waistband and leg cuffs that offer tick protection–the perfect choice for children who spend time exploring forests and meadows. With extra abrasion resistant inserts to ensure long-lasting durability. Vaude children's clothing features premium quality materials, child-friendly designs and colors, as well as eco-friendly manufacturing. Vaude develop intelligent children's outdoor clothing that is durable and long-lasting, so it can be passed on from child to child. This product is made with Eco Finish, an eco-friendly, fluorocarbon-free, water-repellent finish (PFC-free). The Vaude Green Shape label stands for environmentally friendly, functional products made from sustainable materials.